Application of the chorein Western blot has supported a diagnosis of chorea-acanthocytosis (ChAc) in thirty patients during the last year and led the way to the alternative diagnosis of McLeod syndrome (MLS) in additional cases. Among the MLS cases is an extended family from Chile that offers a new opportunity to systematically assess the phenotype of MLS , in addition to the large families known from New Zealand and Switzerland. MLS so far has also been reported from the USA, the UK, France, Germany, Brazil, and Japan. New cases of ChAc, as diagnosed with the chorein blot, have come from Germany, Italy, Spain, Switzerland, UK, USA, Sri Lanka, Brazil, and Australia. They add up to the considerable number of single cases with a suggestive clinical picture from all over the world, which were often reported only locally [1, 2, 3, 4, 14, 15, 18, 22, 25, 26, 29]. In addition we note the Japanese cases (see chapter by Hirose) and the patients in whom VPS13A mutations were detected . The current map of global distribution of ChAc (Fig. 1) shows absence of cases mainly from Africa and the former Soviet Union - most likely due to inaccessibility of the reports in local literature or because of underdiagnosis. With the help of the questionnaire previously used in MLS  we collected data on 106 patients (62 males, 44 females) in whom mutations of VPS13A were found . Results show that the onset of the disorder peaks at around the age of 35 years. 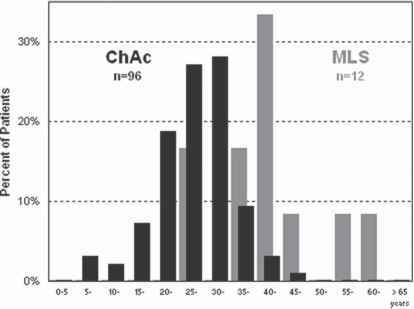 There is a wide age range in ChAc, yet overall the disease appears to manifest about ten years earlier than MLS (Fig. 2). Observations of this nature help to put single case reports in perspective. 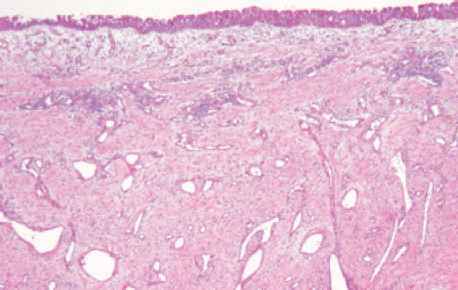 The presumed diagnosis of ChAc in an 86 year old Japanese woman with acanthocyto-sis seen only once upon conventional red cell staining  does not appear likely from the age distribution described above. MLS was reportedly excluded. In keeping with the clinical impression, ChAc was not confirmed by DNA analysis (Saiki, personal communication).